Electric vehicles come with a number of unique advantages over internal combustion engines. Electric powertrains deliver much more immediate torque when you press on the gas pedal (although on an electric car, that’s a bit of a misnomer), they offer an incredibly smooth and quiet ride, and plus, there is the ability to refuel your vehicle at home while you sleep for a few dollars. However, there is one other advantage that doesn’t really get much attention, which was pointed out in the Bolt EV’s owner’s manual—the Bolt should require almost no maintenance over its first 150,000 miles. That doesn’t mean zero maintenance, of course—Chevy recommends that you have your tires rotated every 7,500 miles, replace the cabin air filters every 22,500 miles, flush the coolant at 150,000 miles, and regardless of mileage change your brake fluid every five years. So, on top of the improved driving dynamics, by driving an electric vehicle, you will be completely removing the expense of regular maintenance like changing your engine oil (no oil to change), checking your transmission fluid (no conventional transmission to lubricate), and changing the engine air filter (the engine doesn’t require air coming in to move). 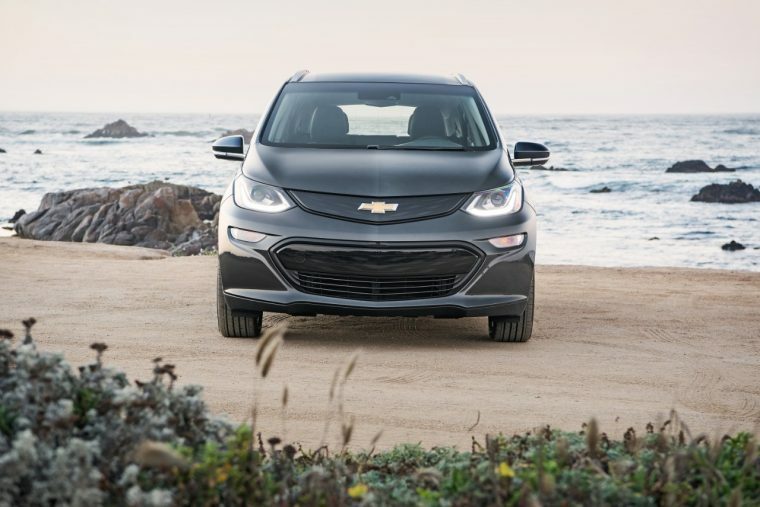 The Chevrolet Bolt will be arriving very shortly in dealerships in California and Oregon, with a post-federal-tax-credit price of just under $30,000.